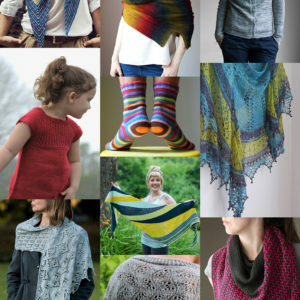 all photos © Louet North America – Get Leucadia on Ravelry here. Isn’t she gorgeous? Leucadia is the name of my newest pattern, released as part of yarn company Louet North America’s spring 2016 collection. The collection is all about lace, and my contribution to the collection is my laciest release to date. I’ve always loved knitting lace patterns with long repeats. For me, getting lost in working a pattern that grows into a beautiful finished fabric is the best feeling, which is why I love lace. 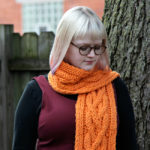 I’m so excited to release a pattern that offers my favorite kind of satisfying knitting experience! I love the Leucadia so much, I might just have to make another one with more repeats so I can just drench myself in lace. The undulating, almost old-fashioned motif I used in this piece is very Downton Abbey. I designed Leucadia to be at home with both formal and informal outfits. You can dress it down as pictured with jeans and a light top, adding texture and some warmth. But pair it with a cocktail dress and some nice jewelry, and you’ve got the perfect accessory to wear to weddings this season! Speaking of weddings, I included instructions in the pattern for where to add additional repeats for larger versions of this wrap. 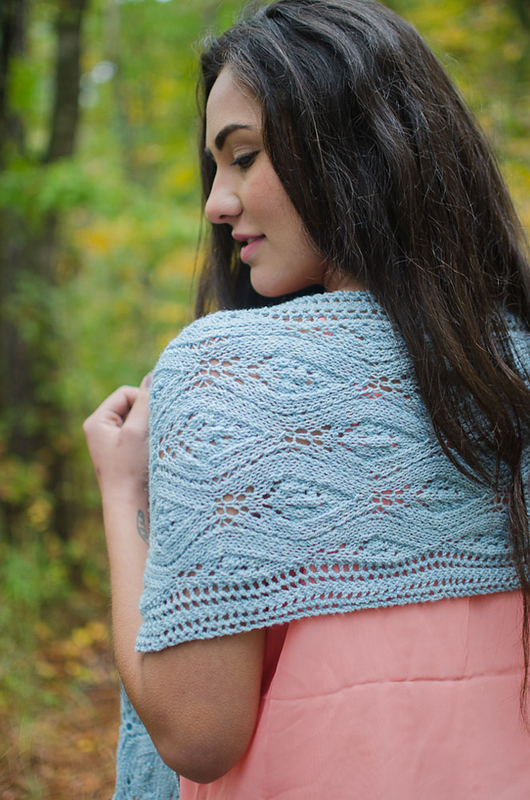 If you’ve been looking for a pattern that would work well as a bride or bridesmaid’s wedding shawl, I think this would work perfectly for that too! In the end, I’m really happy with how this new design turned out. 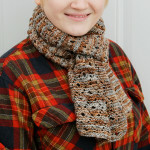 If you want to get the Leucadia pattern for yourself, you can find it on Ravelry. I hope you like this as much as I do, and happy knitting!